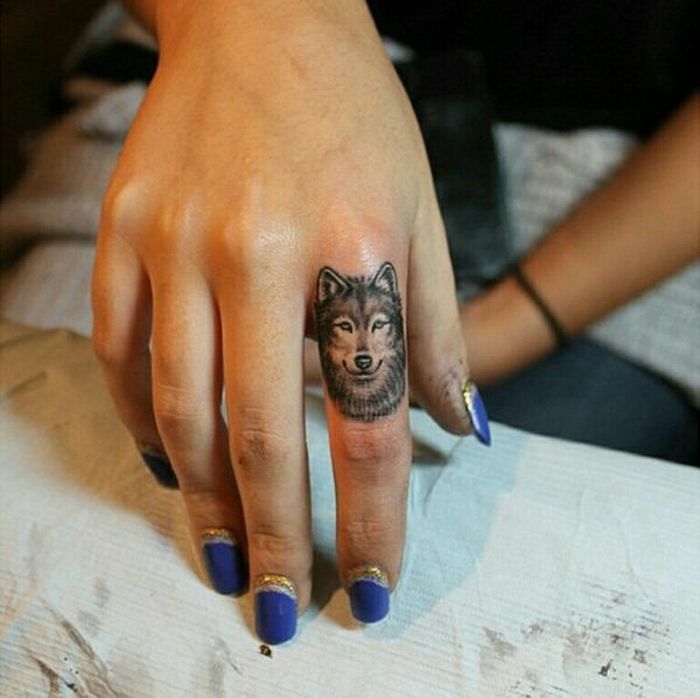 It’s no secret, we love tattoos and we’re always on the hunt for cool ink pieces. 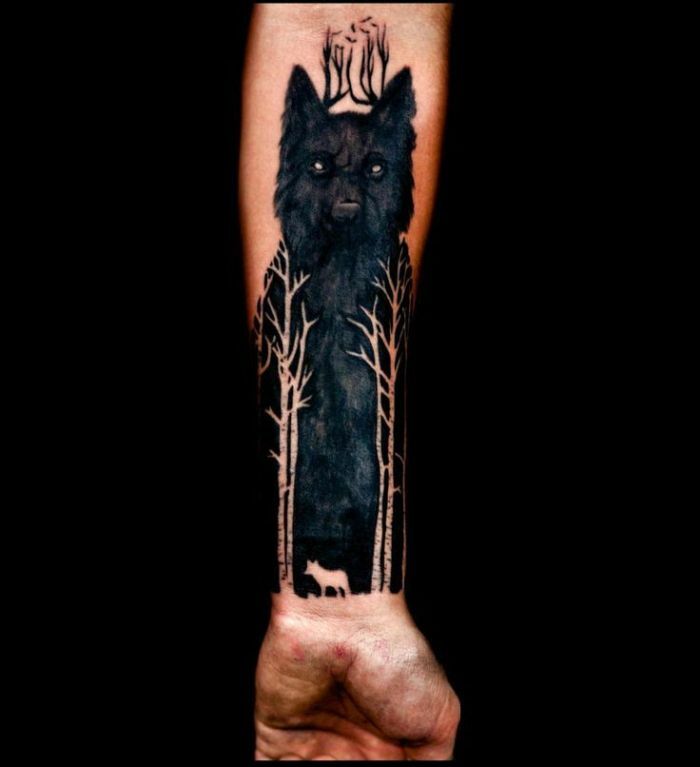 Today we’re gonna feed our ink addiction with 50 of the best wolf tattoo designs, visually impressive tattoos and full of meaning at the same time. 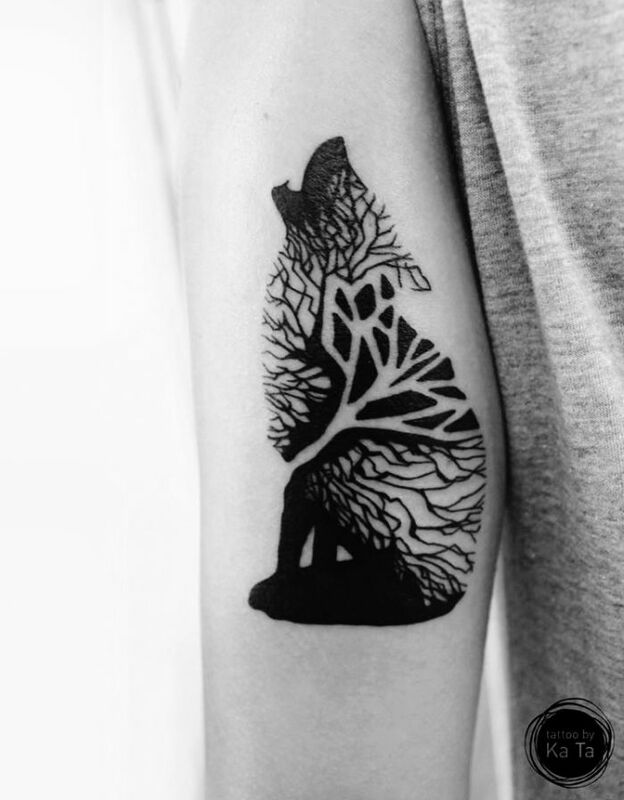 We believe getting a tattoo is a very personal and symbolic process and you should think well before getting inked. 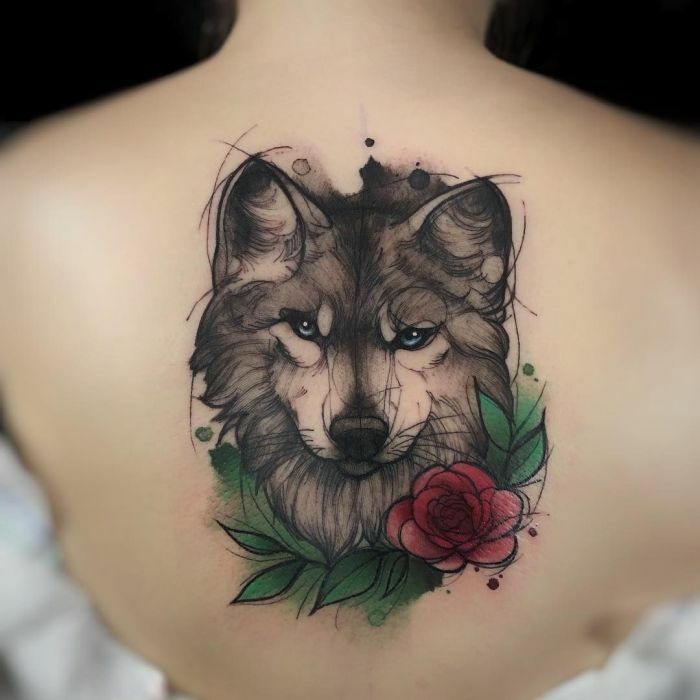 A tattoo is not only a form of art, a fashion statement but also a way to express yourself and personality – so it’s important to know the symbolism behind a tattoo. 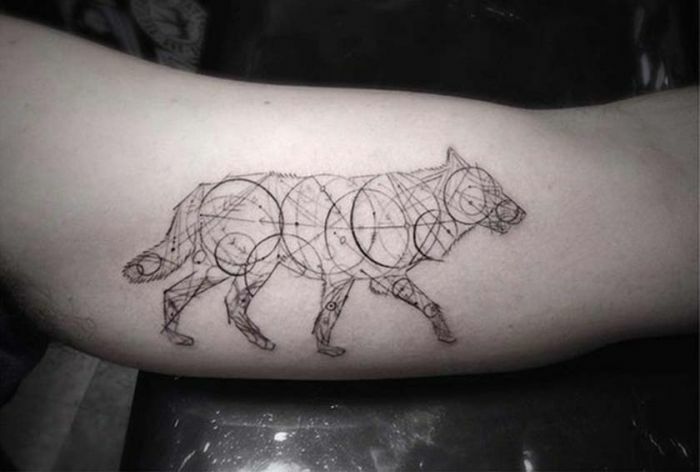 The number of design options when it comes to tattoos is amazing. 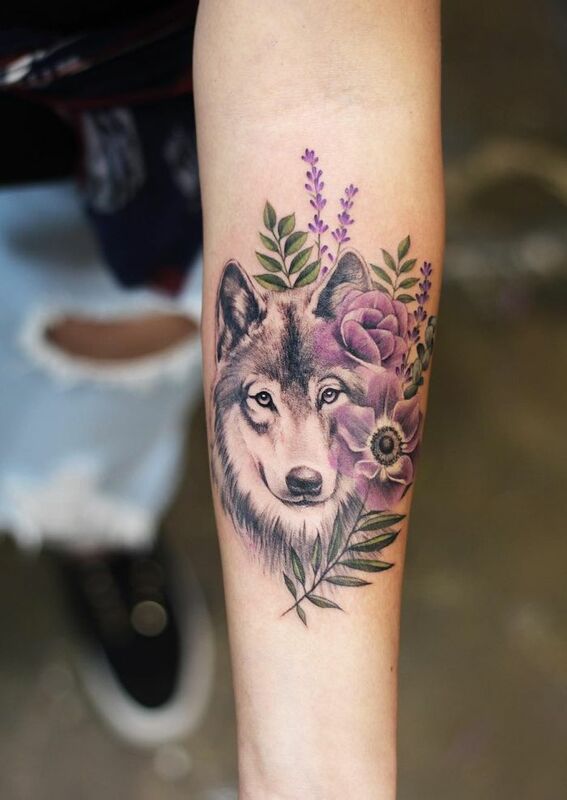 Many people gravitate towards animal tattoo designs not only due to their love of animals itself but also due the vast significance that these tattoos have. 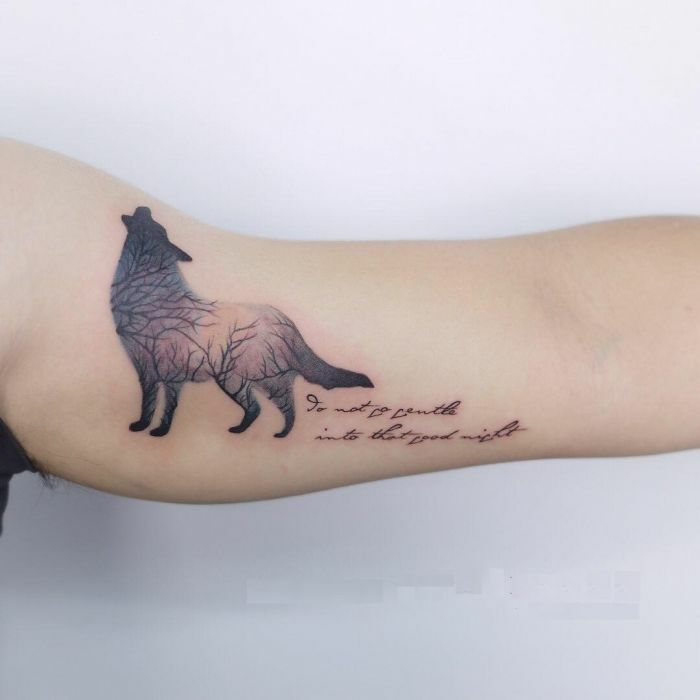 Animal tattoos carry personal meaning before cultural symbolism, but here are some general messages associated with popular animal tattoos. 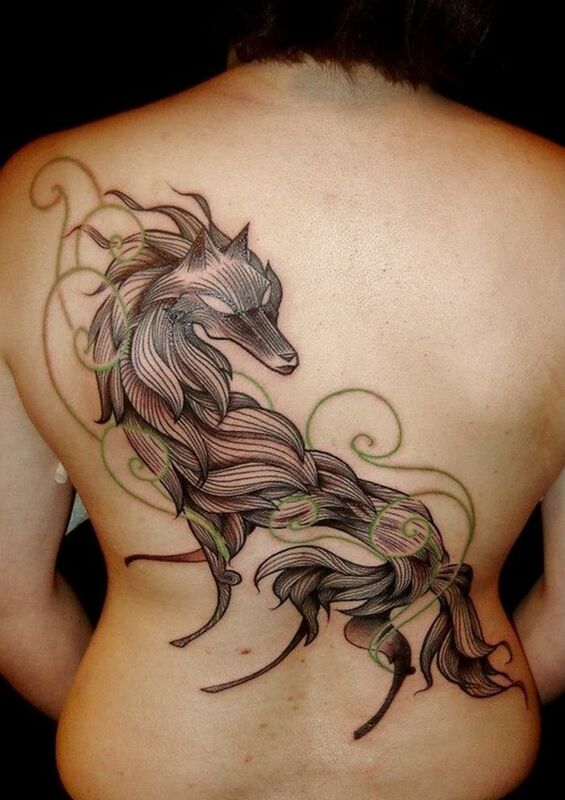 Most animal symbolism is based on characteristics possessed by the animal. 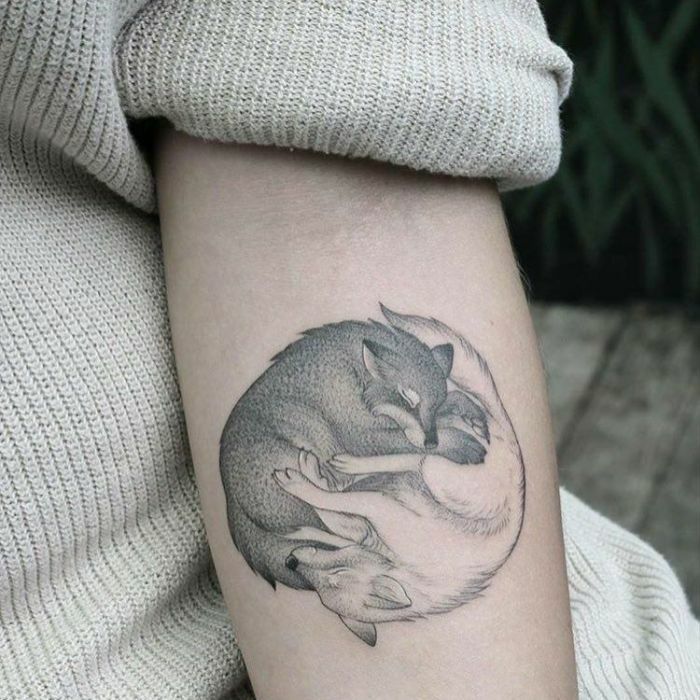 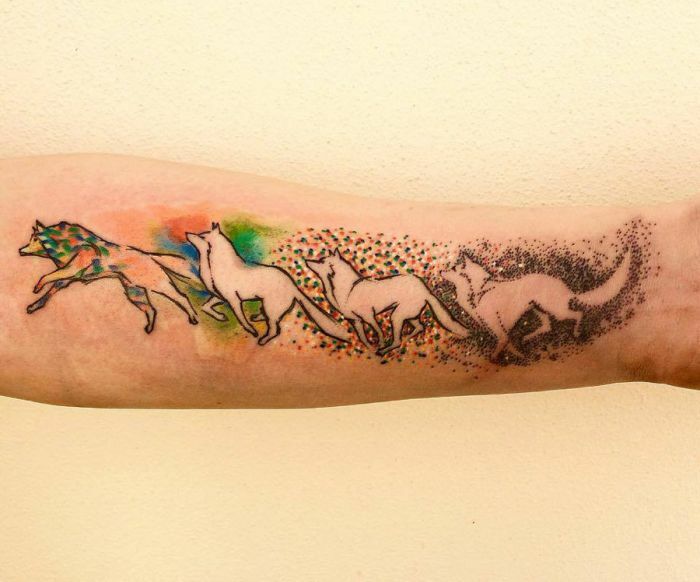 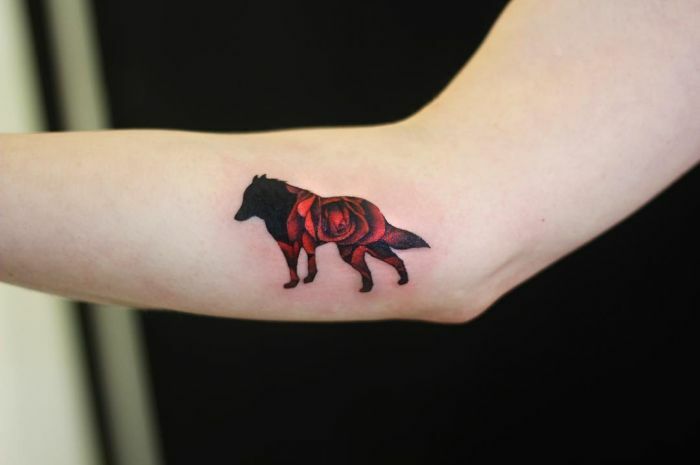 As we mentioned above, today we’re going to satisfy our ink hunger with the most beautiful wolf tattoos that the internet has ever seen so we will talk a little about their symbolism. 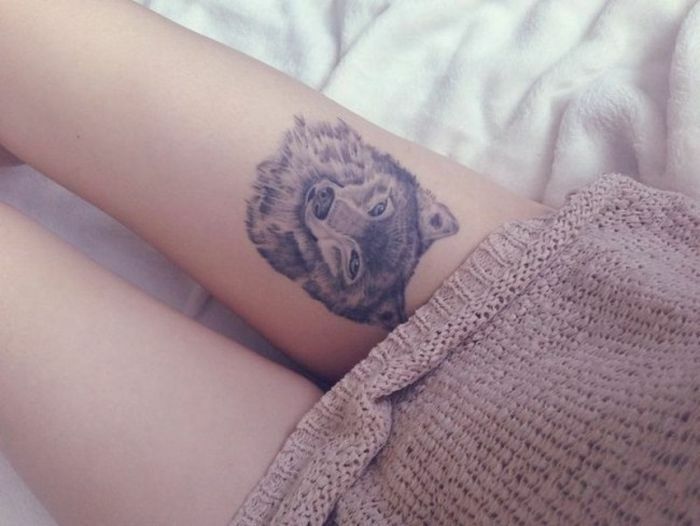 What does a wolf tattoo mean? 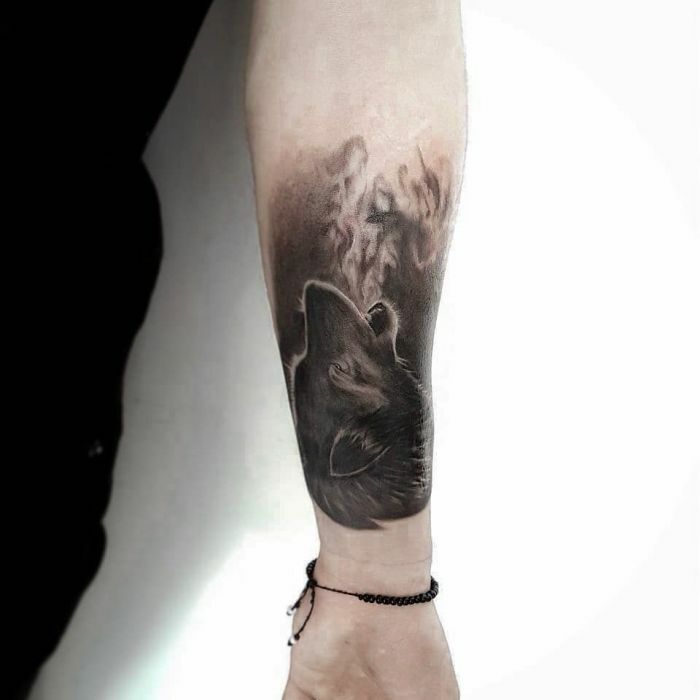 First of all you should know that the wolf has been associated with both negative and positive forces and the wolf tattoos have both good and evil connotations. 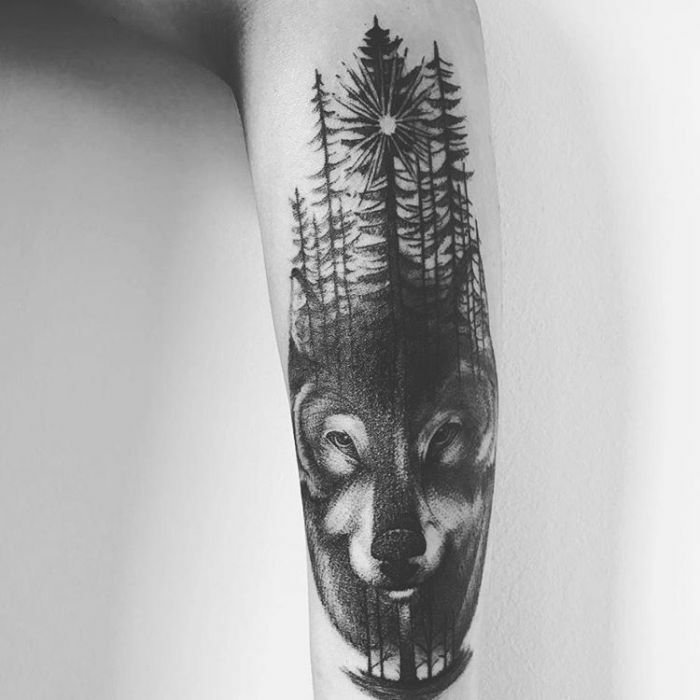 In some cultures, they are the predators of the night, hunting and stalking our darkest nightmares while in others, they are noble warriors, great leaders, and protectors of the innocent – which is the reason why the tattoo gets portrayed in both the ways, depending upon the attitude of the bearer. 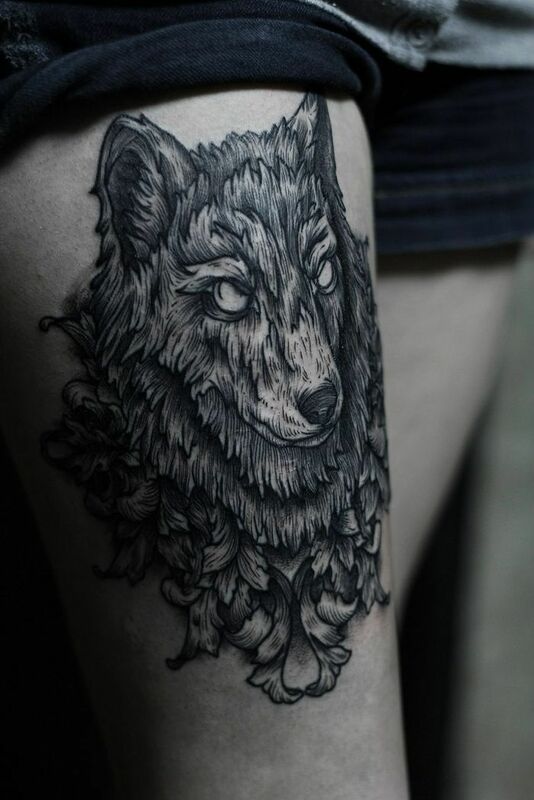 Symbolically, the wolf is associated with a number of positive traits such as power, freedom, protection, strength, generosity and intelligence. 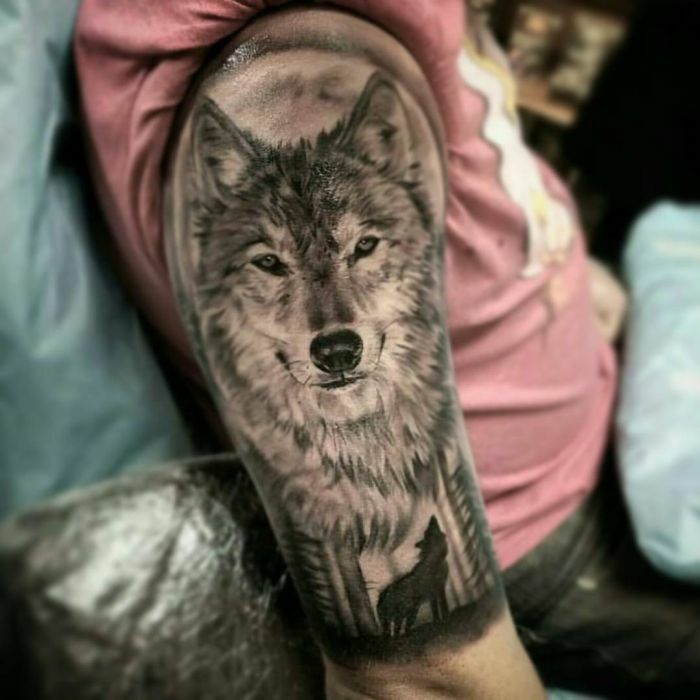 It is also related with survival instinct, compassion and family bonding, as the wolf lives in its closely knit pack, which it loves and protects so that they can survive as a cohesive whole in the difficult conditions of the wild. 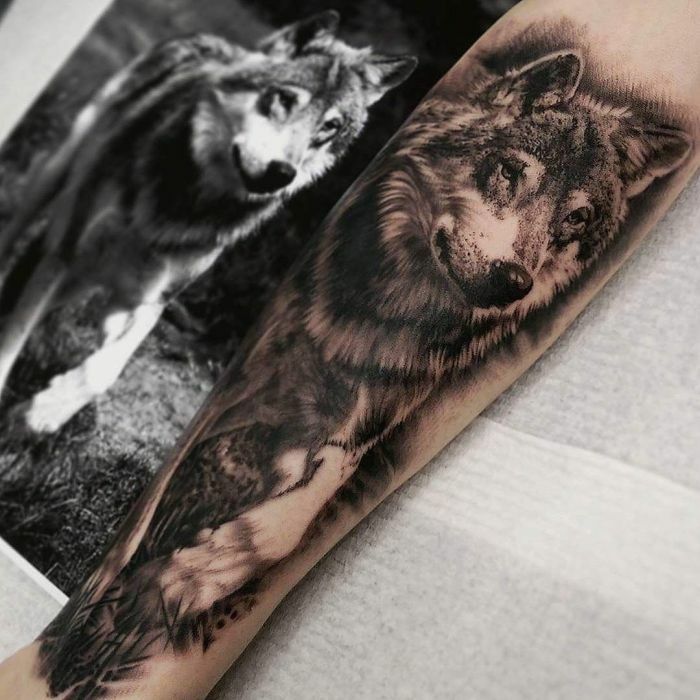 The wolves are fiercely protective of each other, with the parents looking after the young ones and the young ones taking care of the parents as they get old. 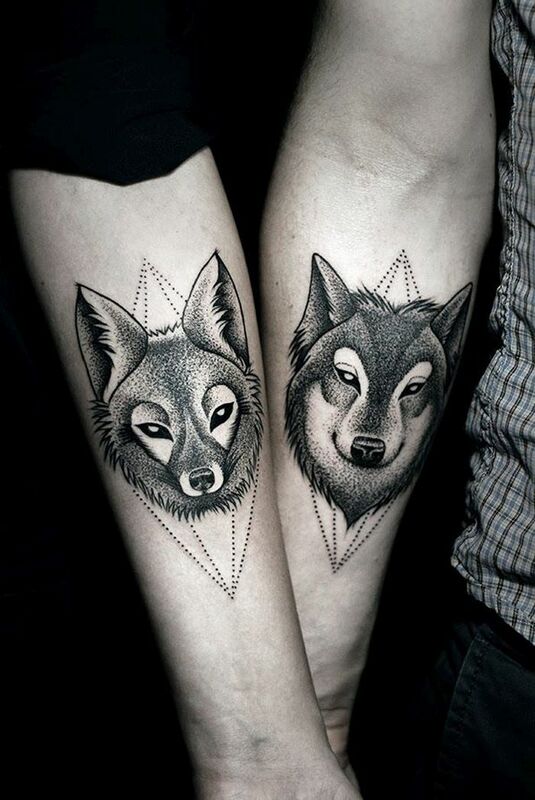 Similarly, wolves stay with the same mate for a lifetime, which represents the loyalty of this animal. 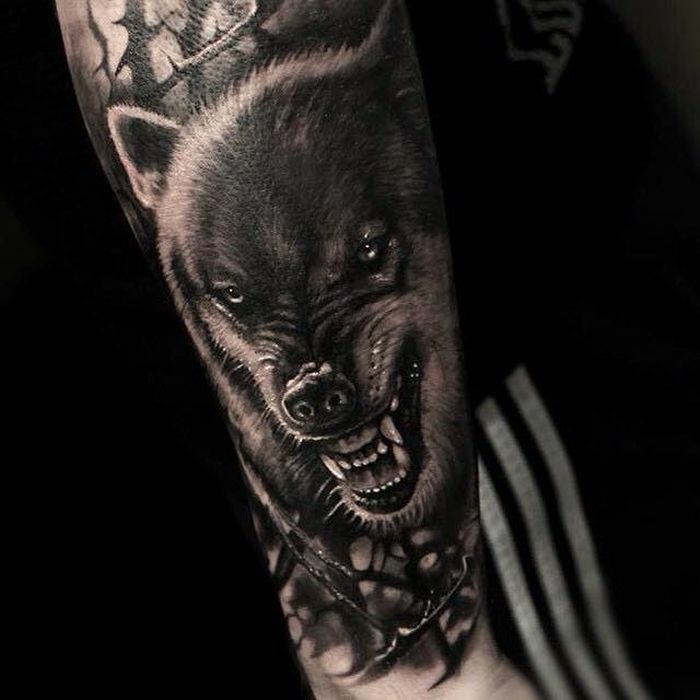 Also, the wolf is considered as one of the fiercest in animals and legends take it as a warrior symbol, professing that the wolf is the ancestor of the famous warrior Genghis Khan. 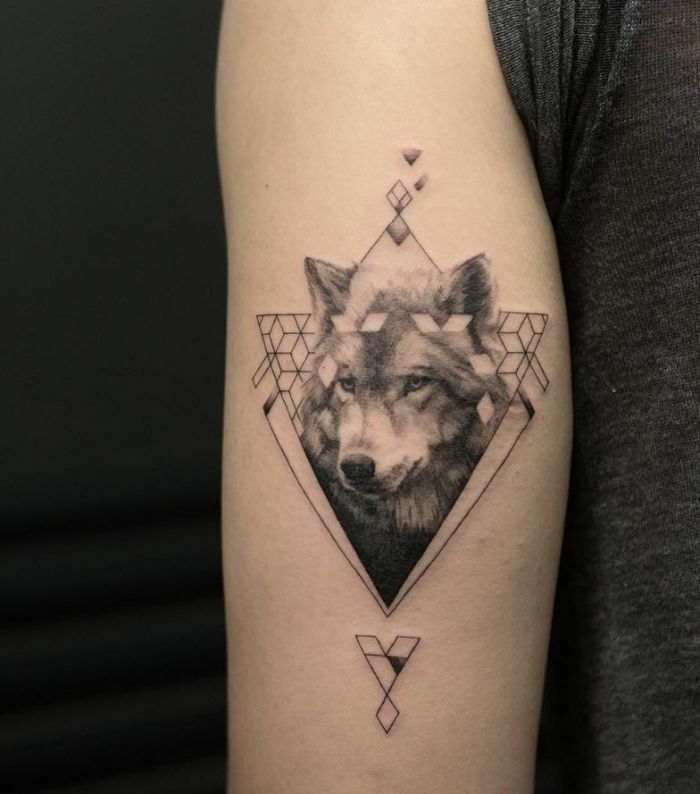 Overall, wolf tattoos have reached a height of popularity today as they are related to the inner power and strength of the bearer, because the animals are considered as true survivors, with the ability to survive in the toughest of conditions they encounter in the wild. 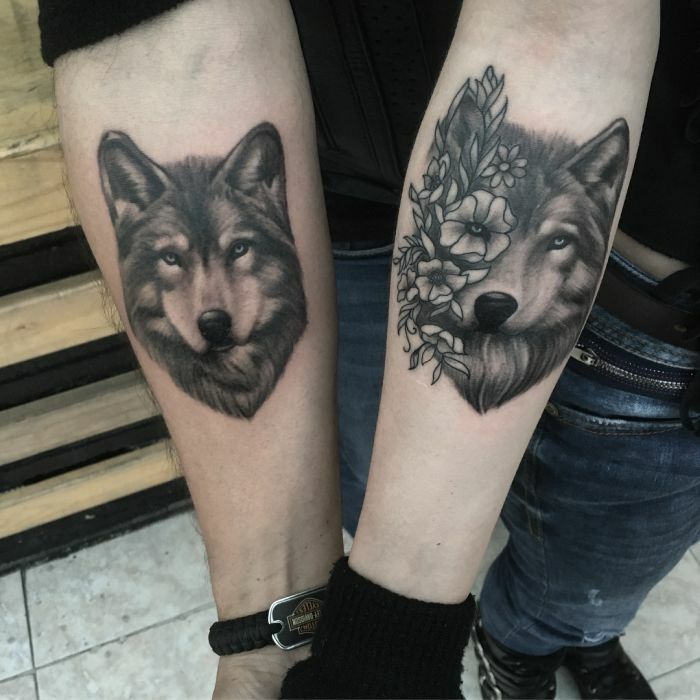 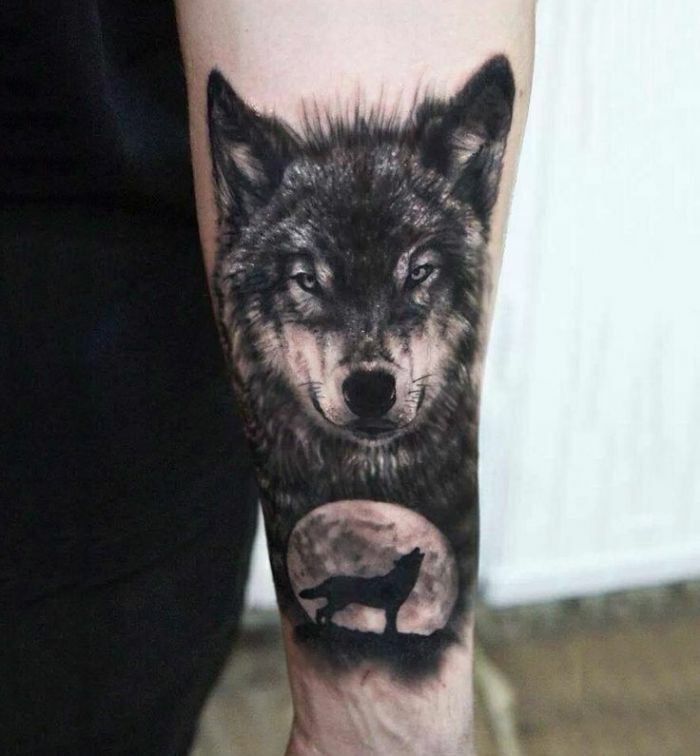 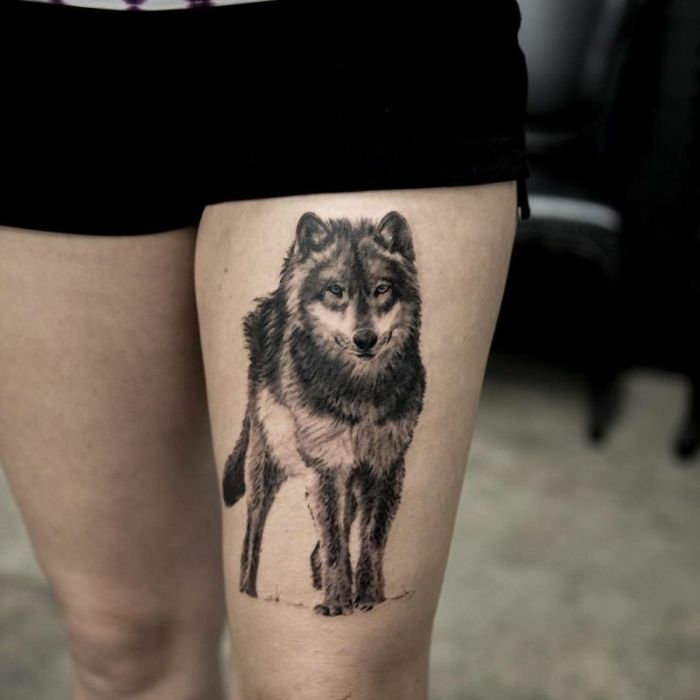 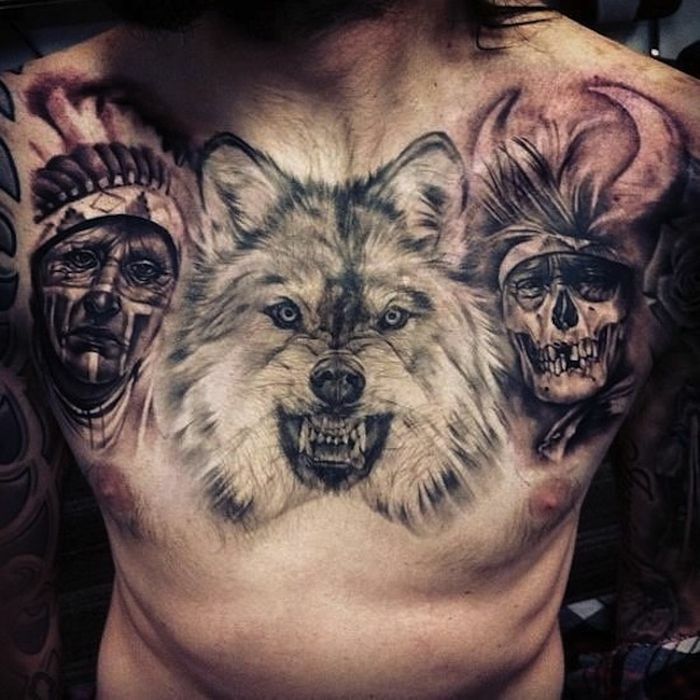 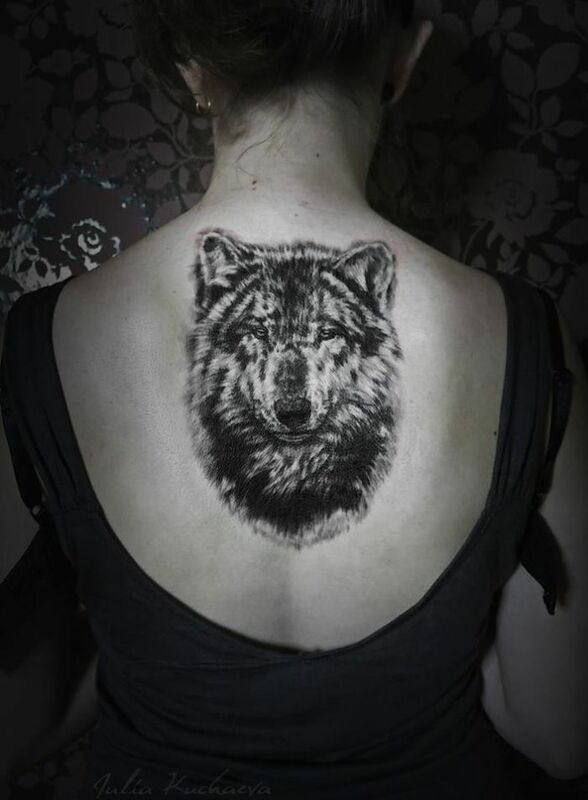 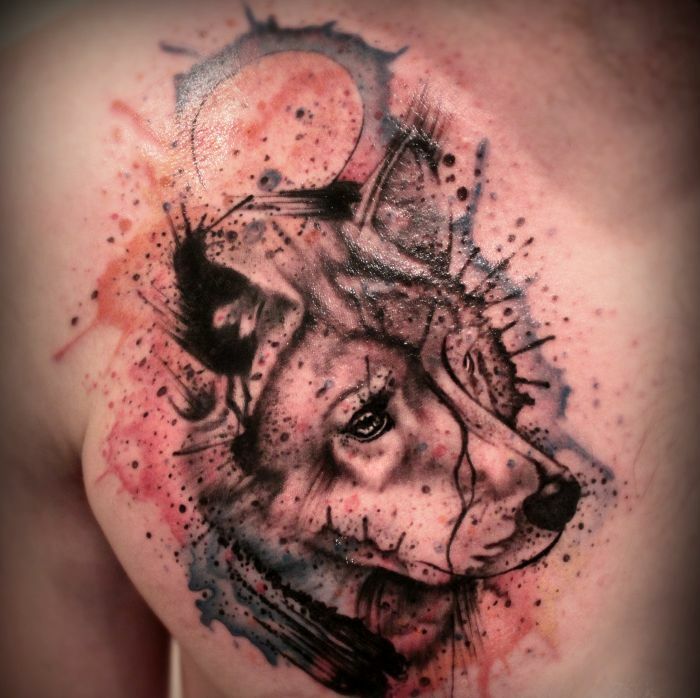 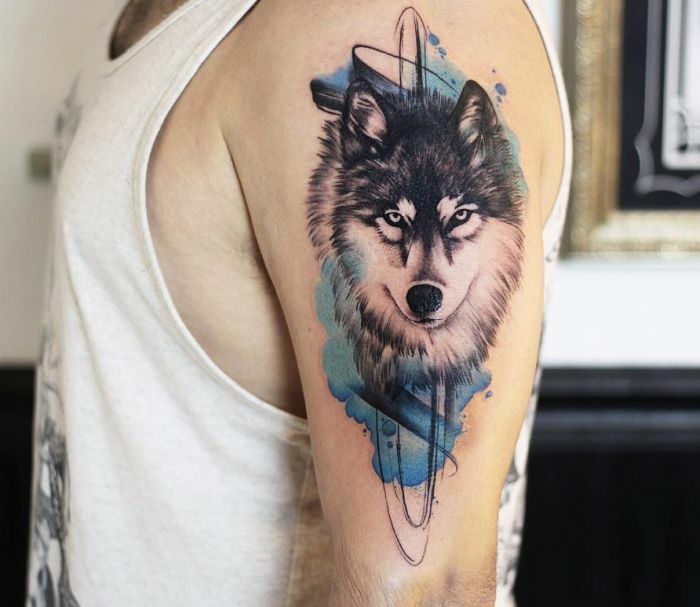 Loyalty and leadership are some other personality attributes of the wolves which make the wolf tattoos so desirable and popular around the world. 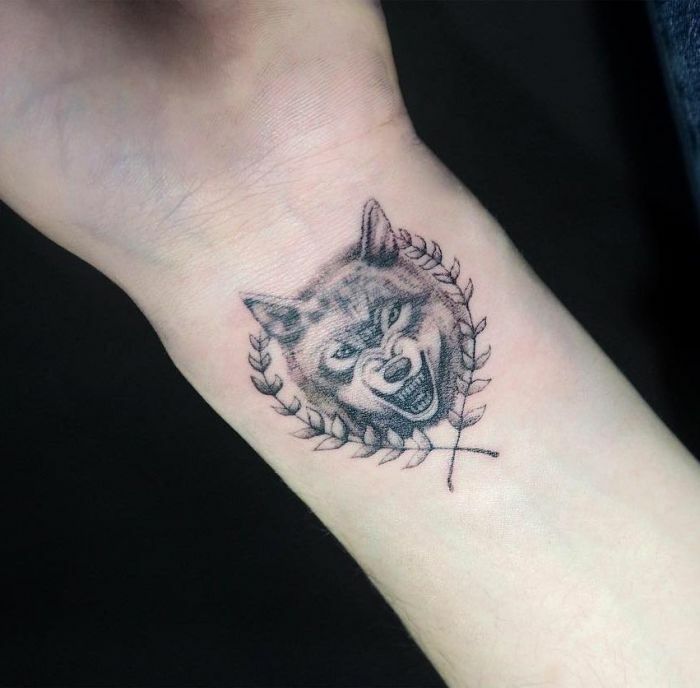 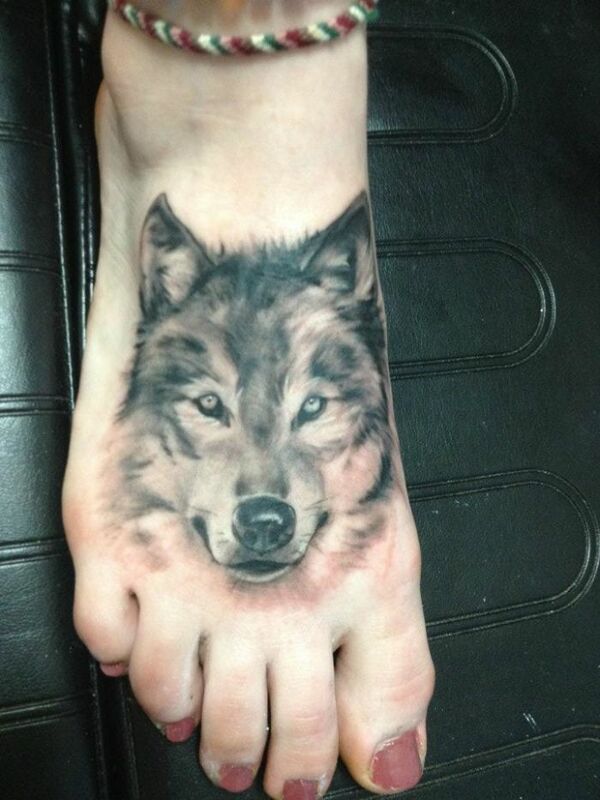 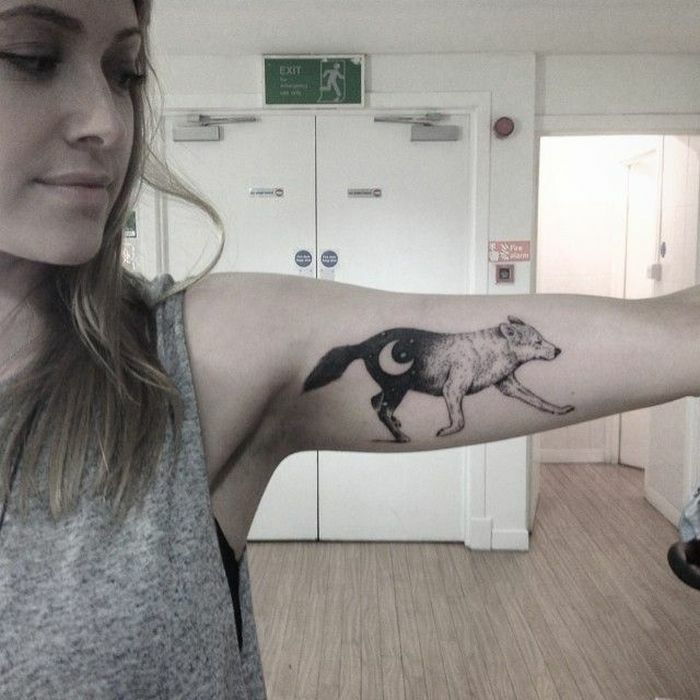 The wolf tattoo is basically loved more for its symbolism rather than its great looks. 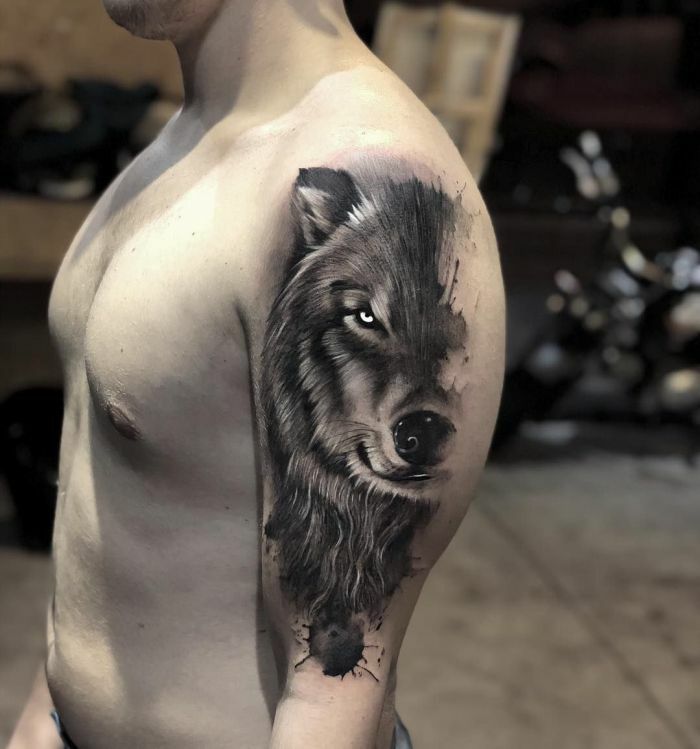 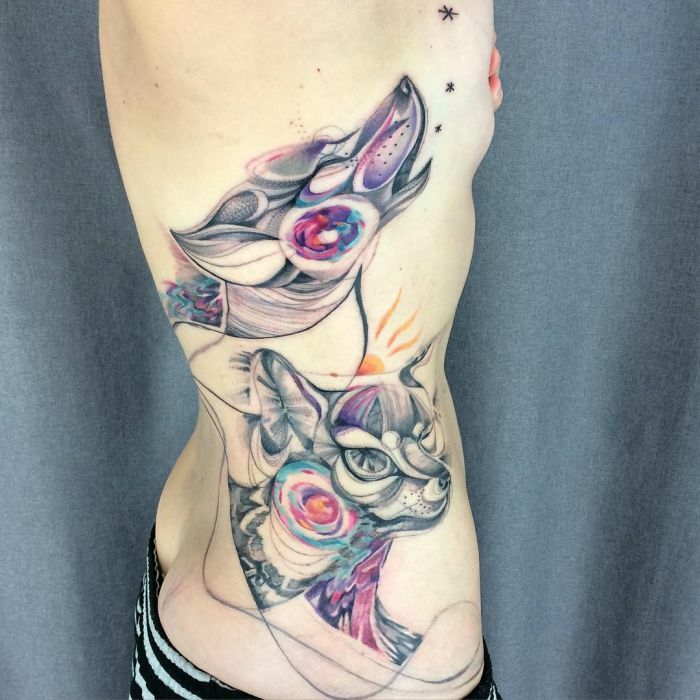 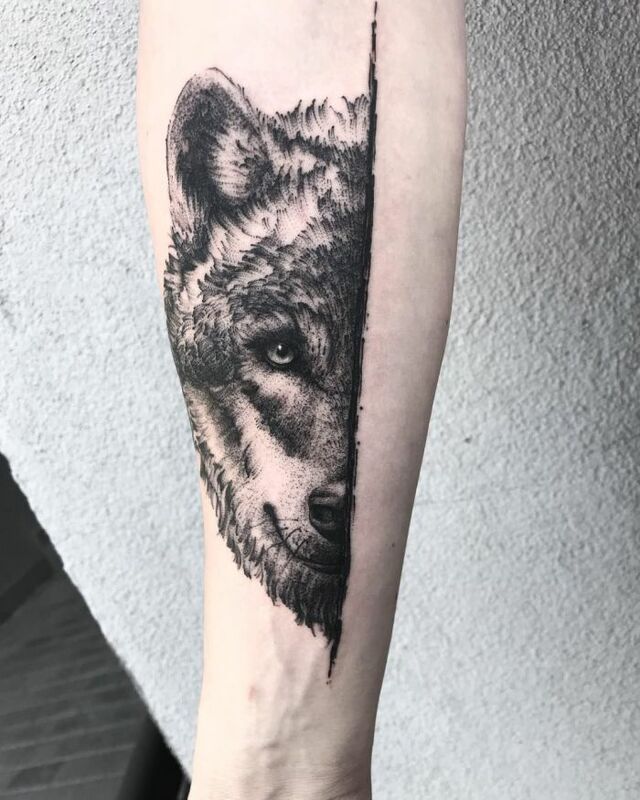 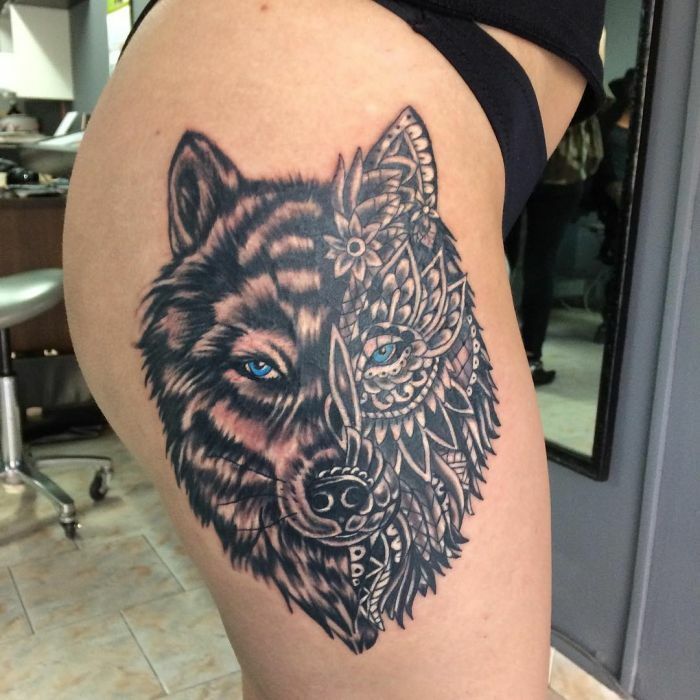 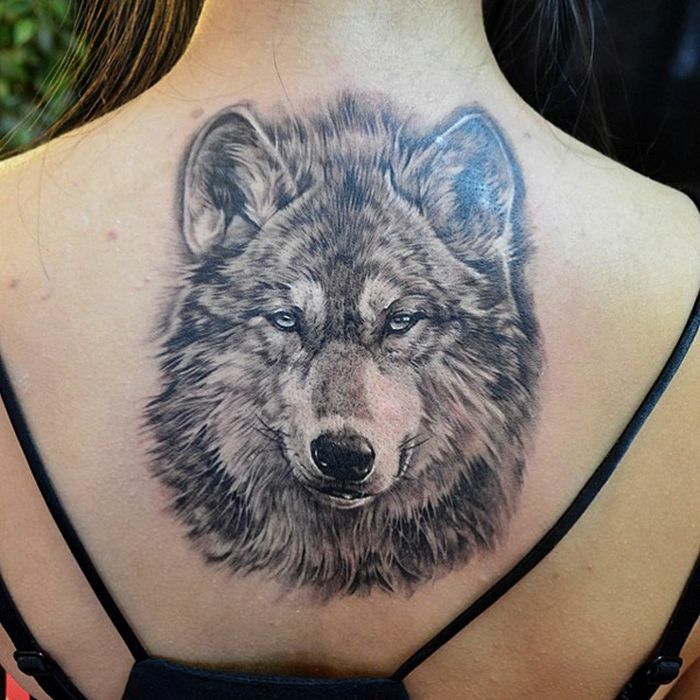 Whatever the reason for your choice, if you are thinking about getting a wolf tattoo, you may want to approach the project from a specific angle, using specific imagery to complete the picture. 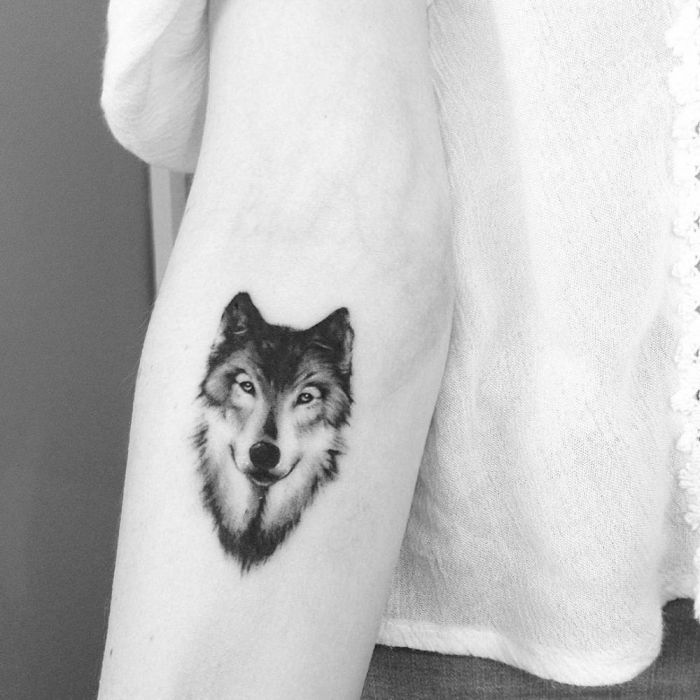 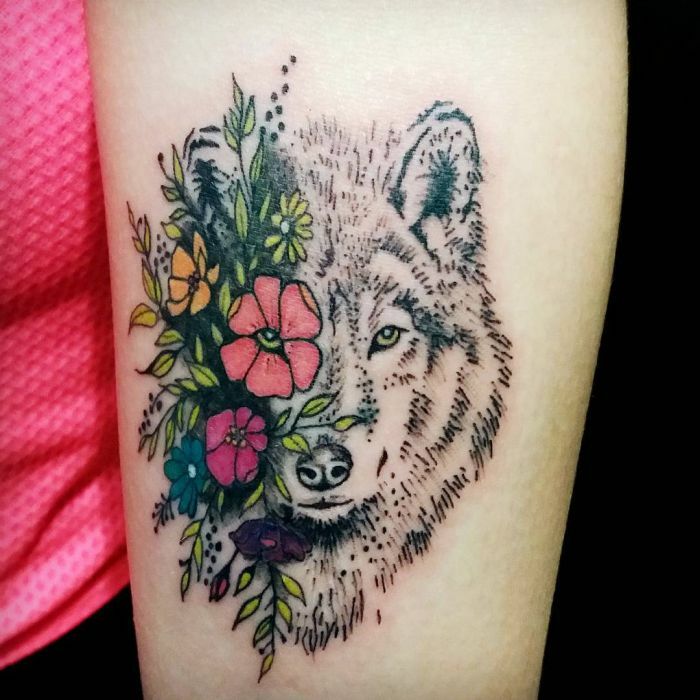 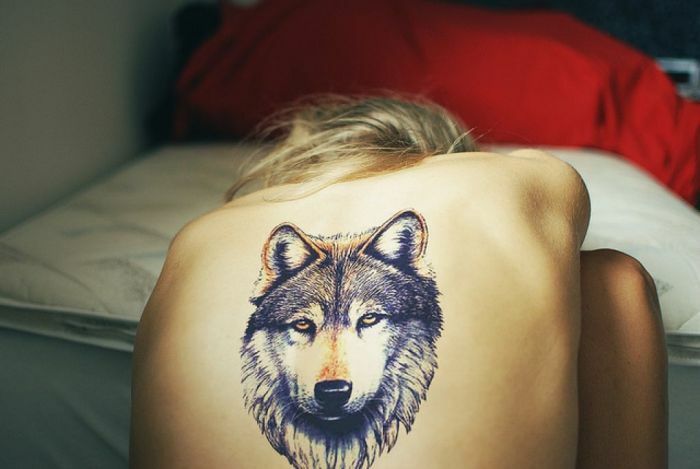 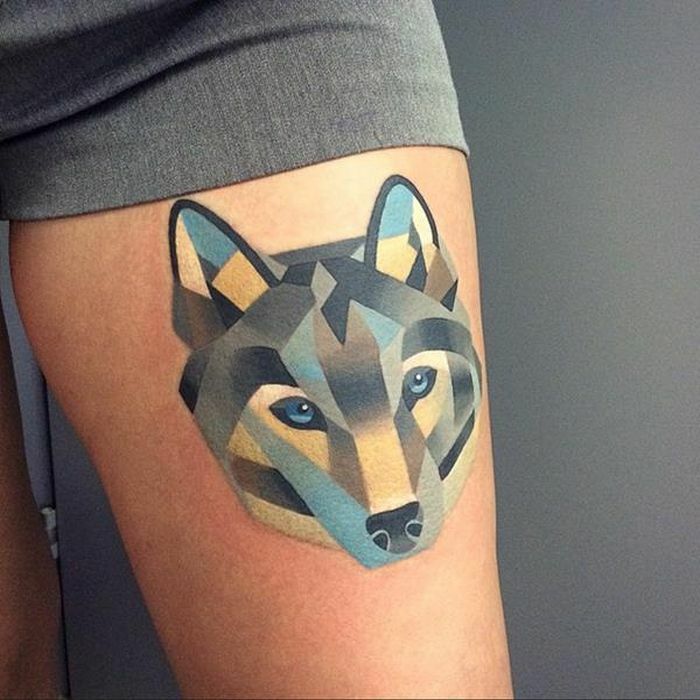 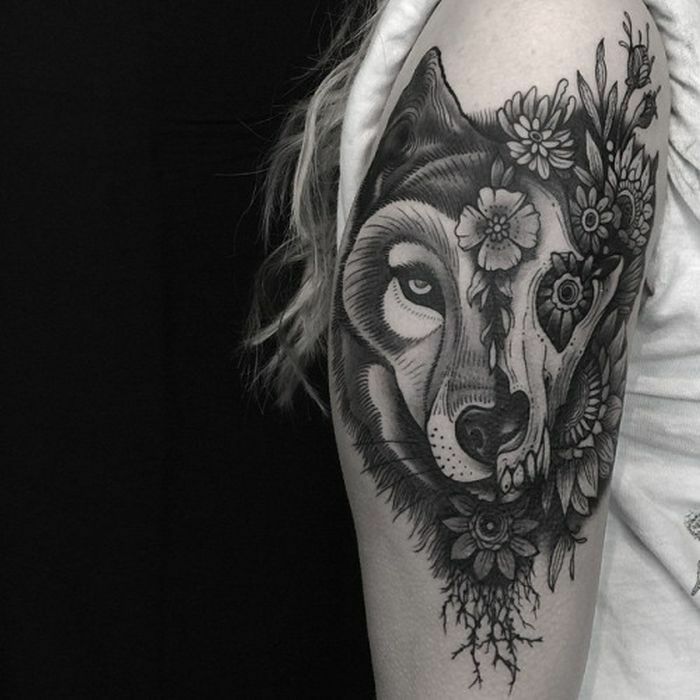 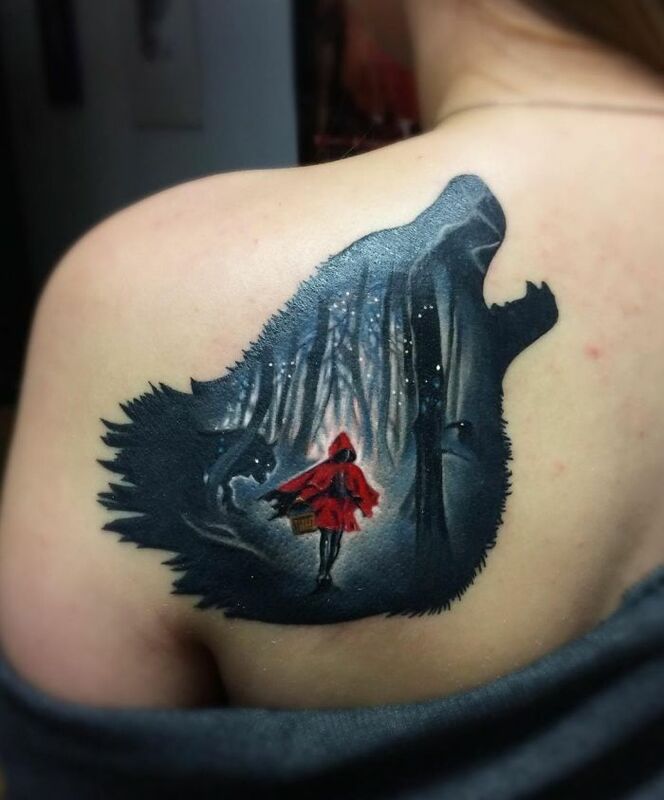 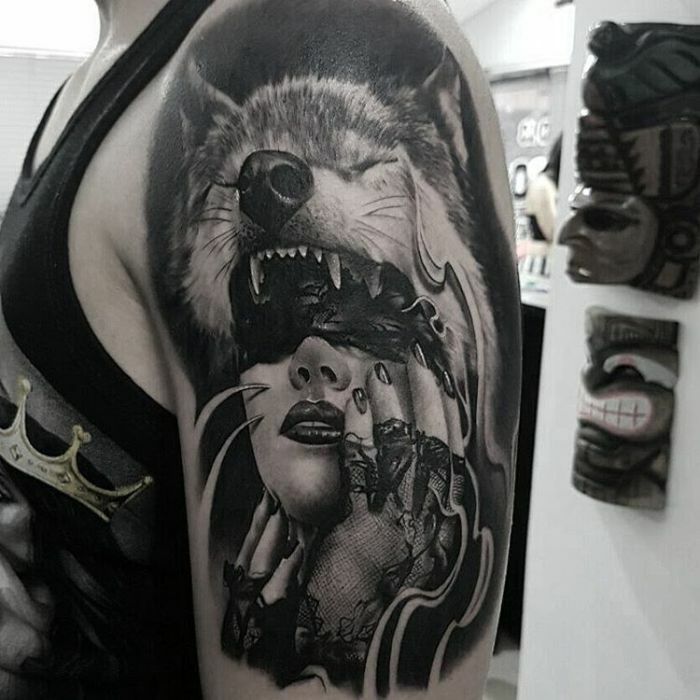 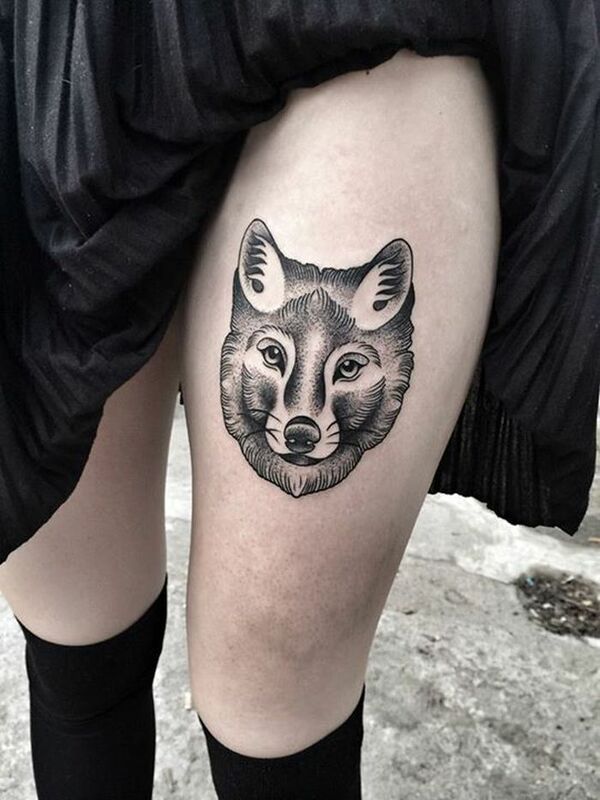 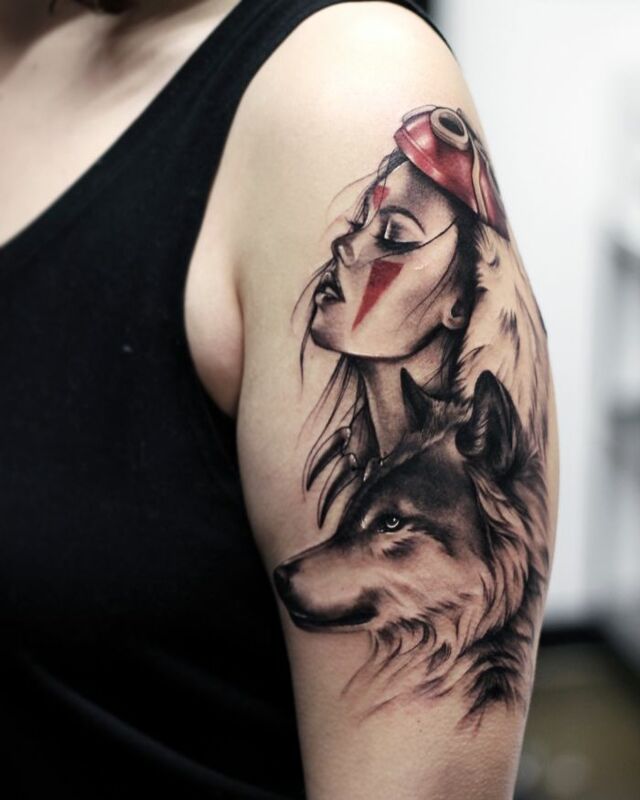 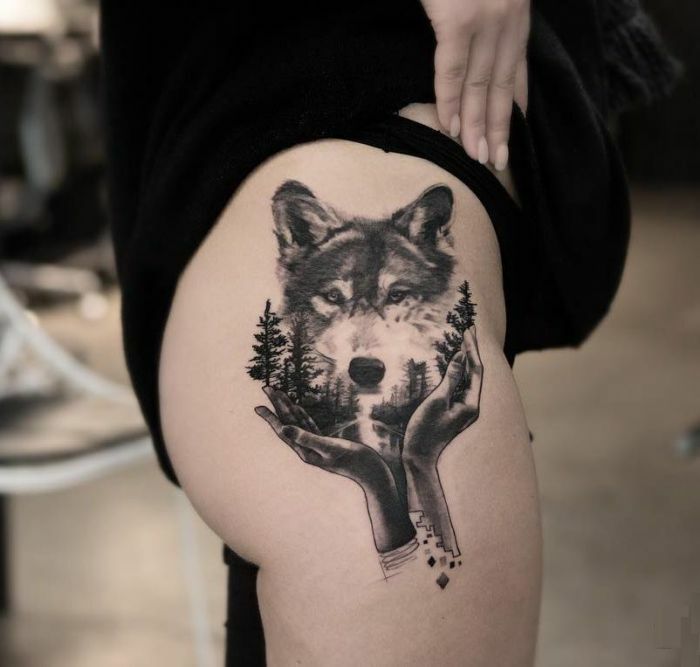 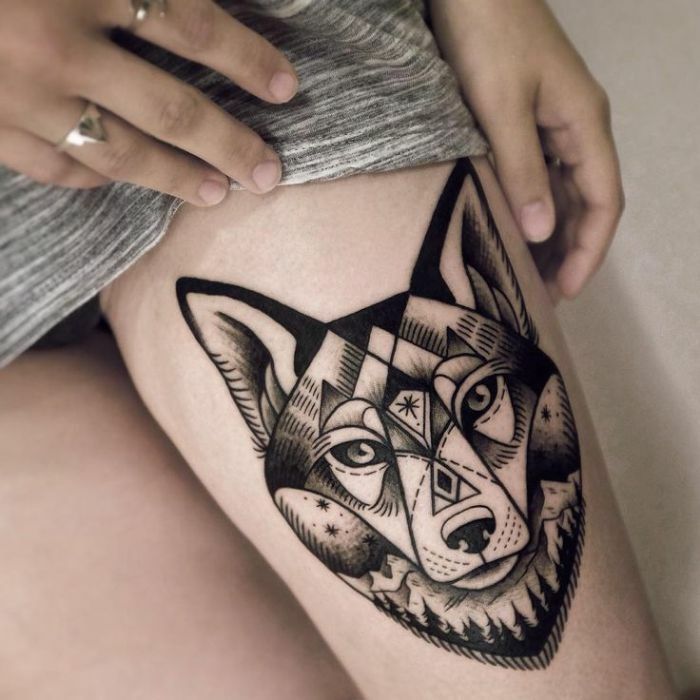 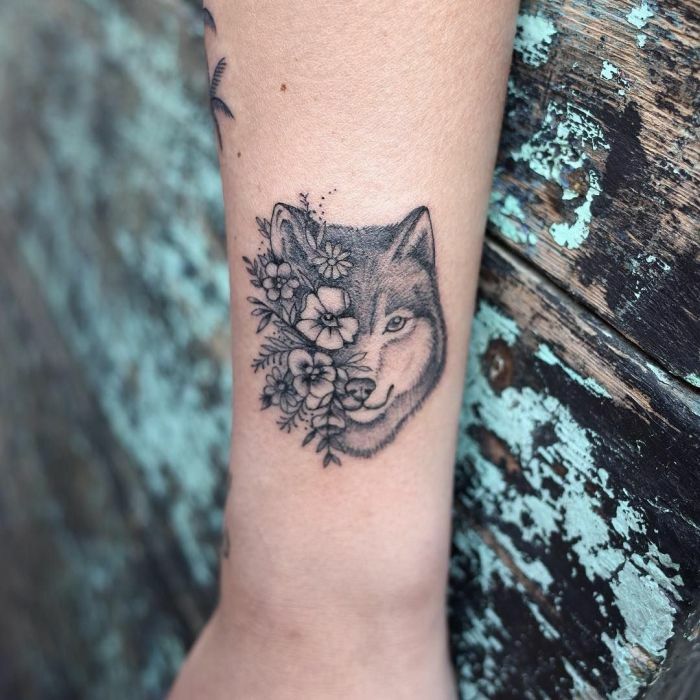 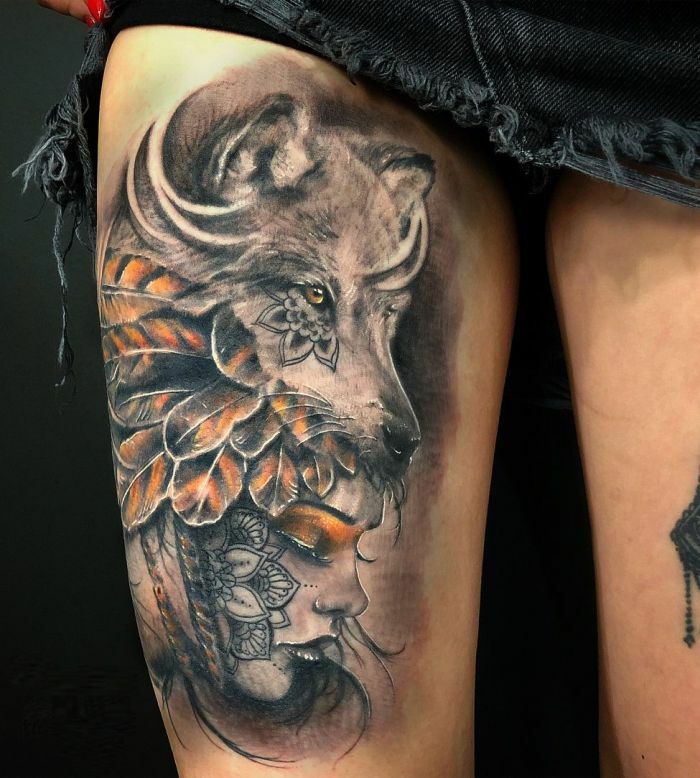 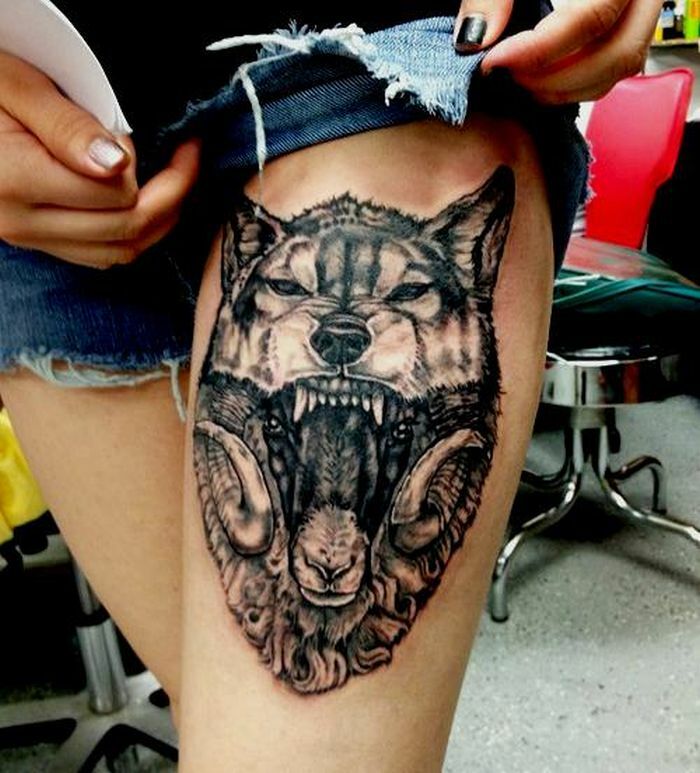 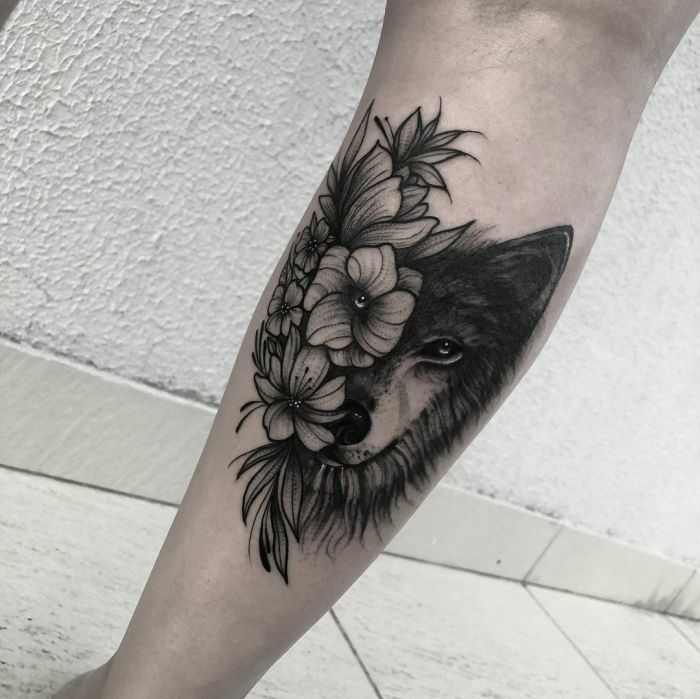 Scroll down to see our collection with 50 of the most beautiful wolf tattoo designs we’ve seen and maybe you’ll find your inspiration! 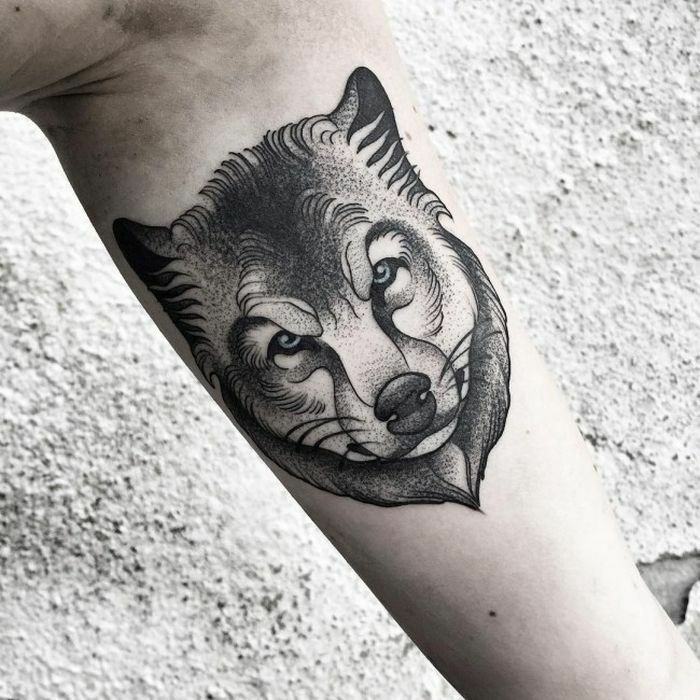 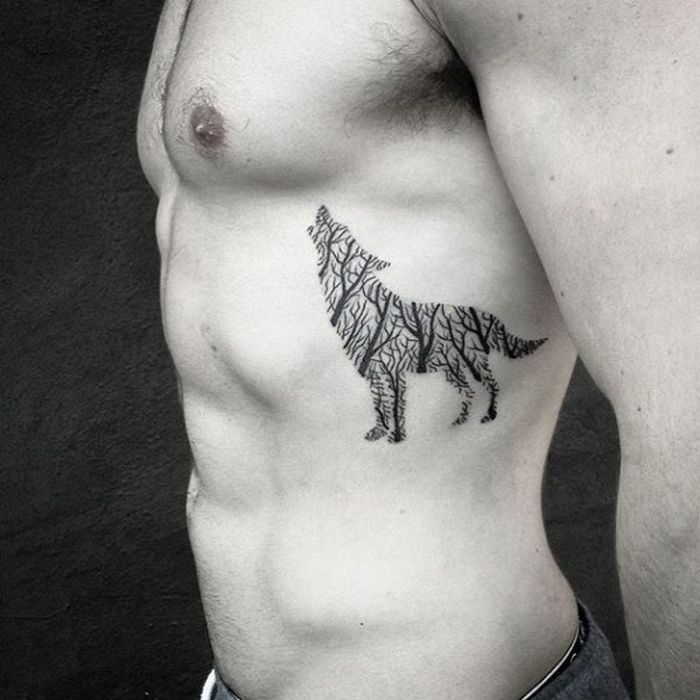 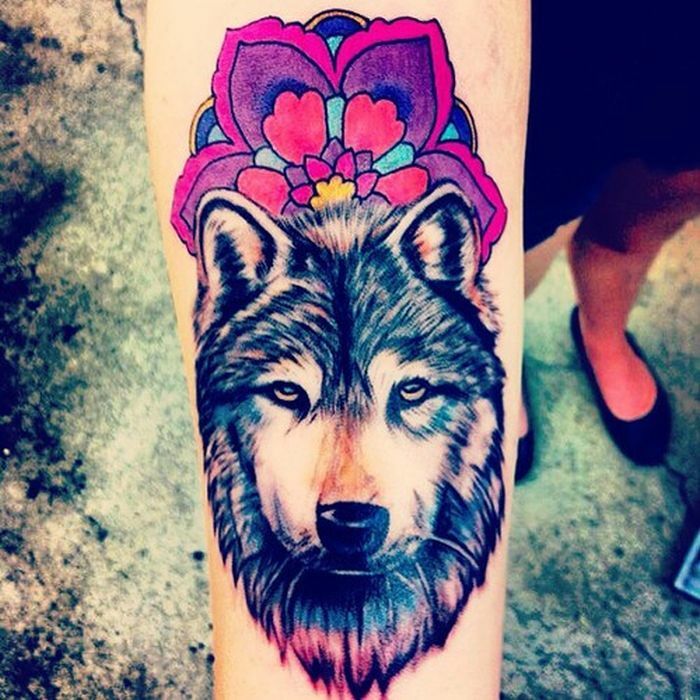 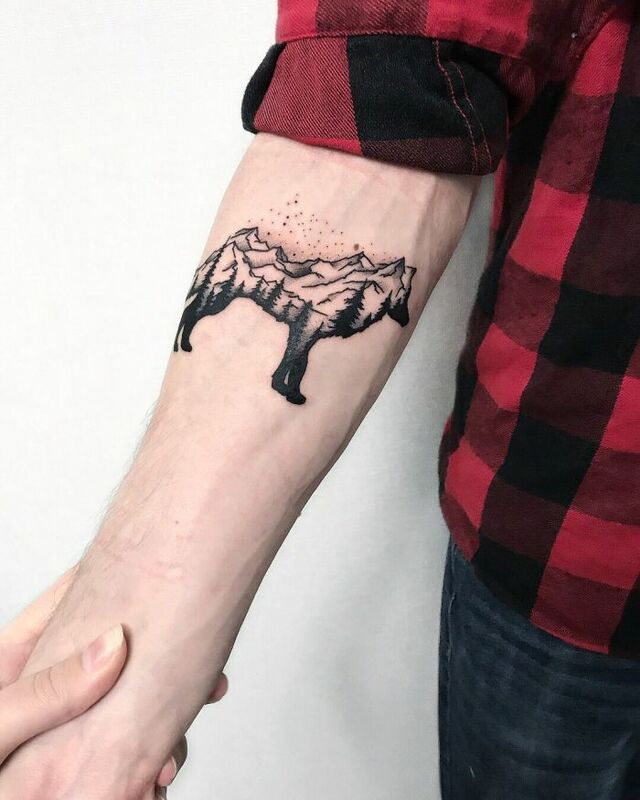 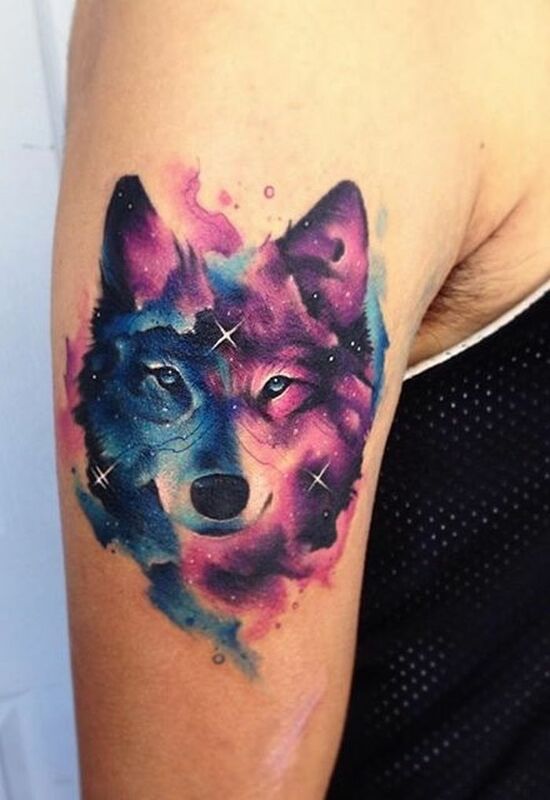 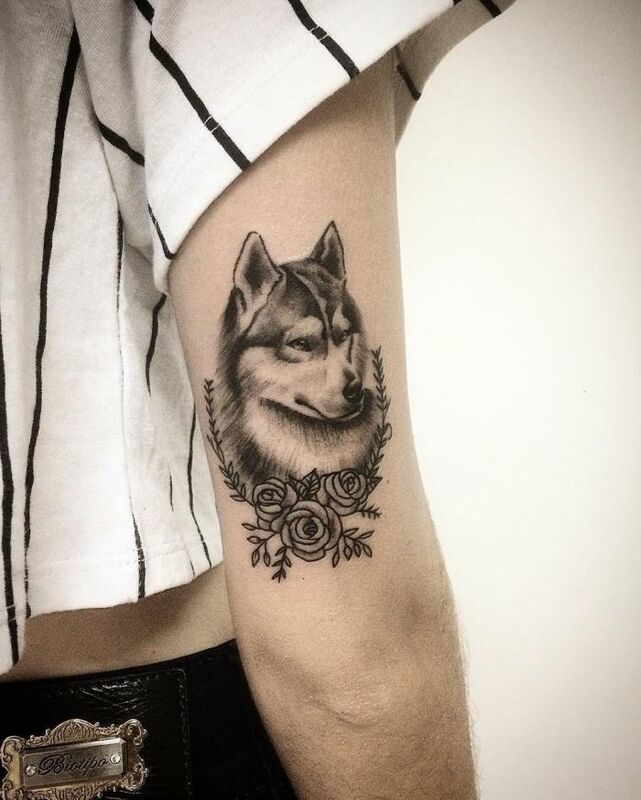 I would Love to get a wolf tattoo and I am looking for ideas. 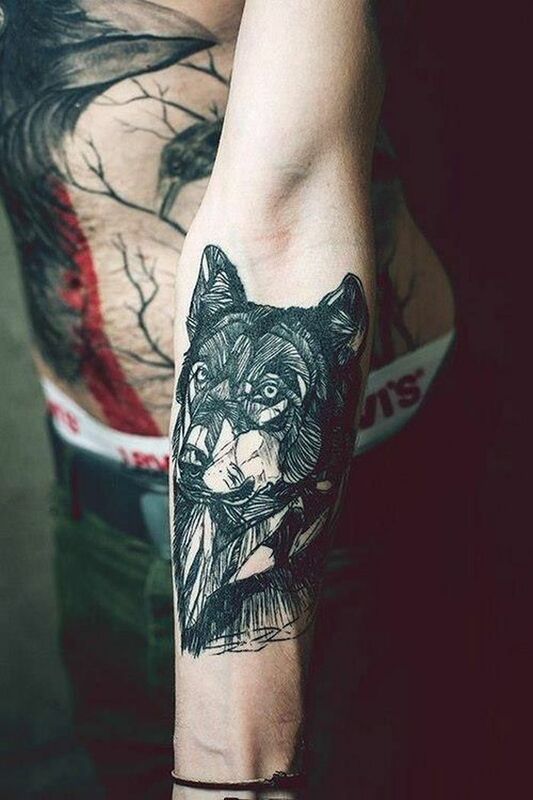 I would like one with dragonflies round his head. 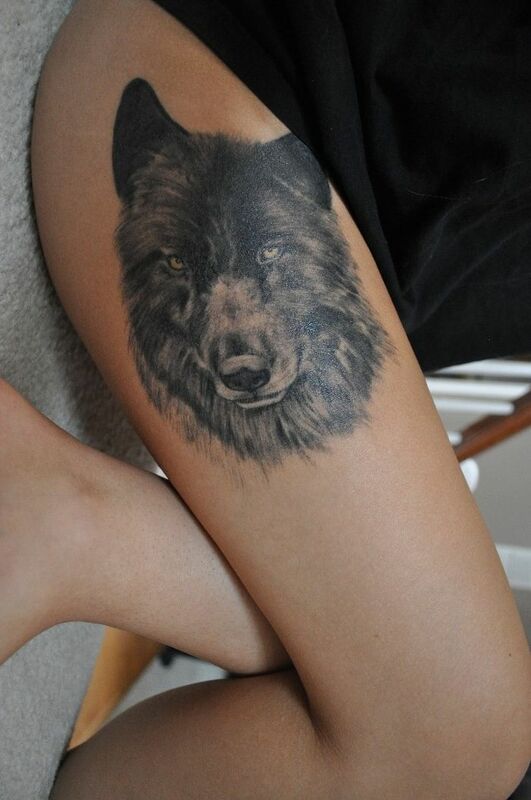 I can’t make up my mind if I would get it on my thigh or calf. 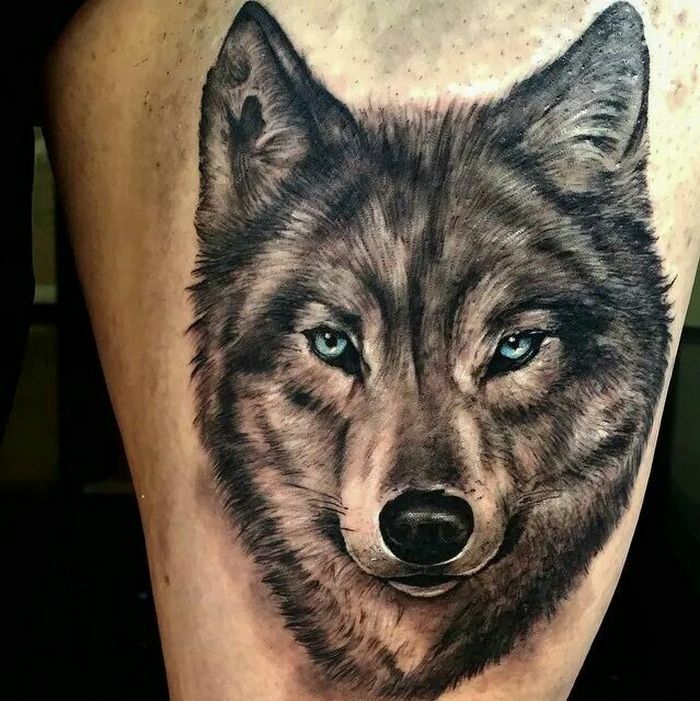 Wolves do not have 2 different colored eyes!